This is the second of a series of eating east Asian cuisine in Toronto by flashbracket. 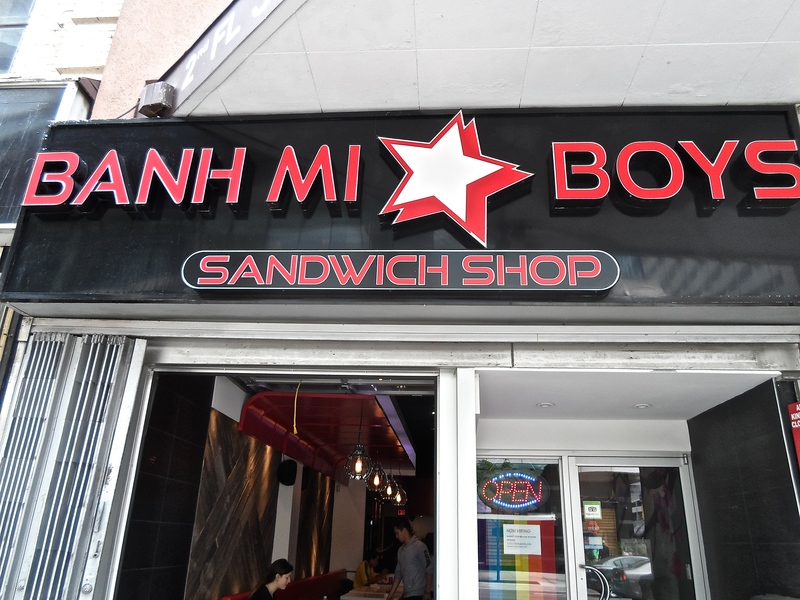 During the past few visits to Toronto I would make my way to Banh Mi Boys. Their Yonge street location, south of College, is just around the corner from where I often stay and I first stepped foot into the busy eatery when I met up with a friend for lunch. I had been hearing about this place for a while now but hadn’t thought much of it. I love banh mi, the Vietnamese sandwich on a French baguette, and the thought of leaving Chinatown and paying more than four dollars for this half-foot sandwich seemed ridiculous to me. I would had never guessed that my dreams of eating dirty fast food would somehow become fulfilled from eating non-greasy Asian fusion grub in a sleek and trendy setting. The Yonge street location store front. 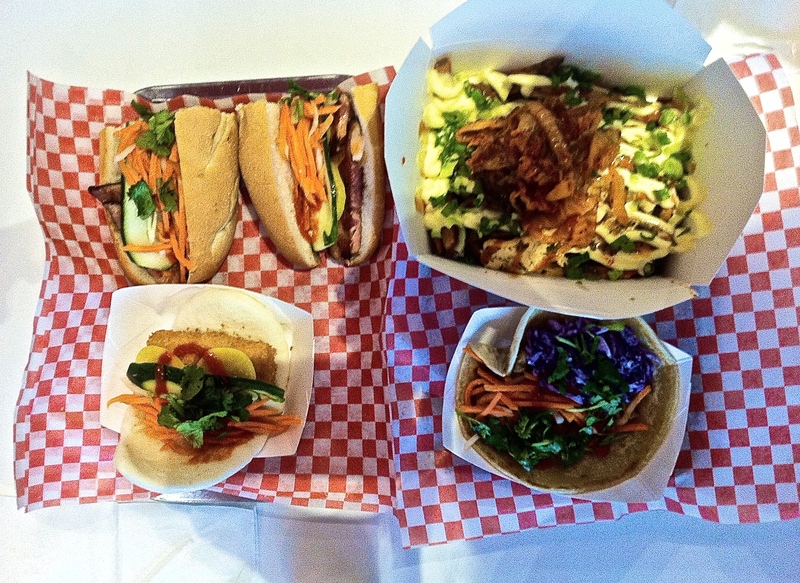 Top Photo: Clockwise from top left – Five Spice Pork Belly Banh Mi, Tofu Fries, Tofu Taco, Panko Tofu Steamed Bao. 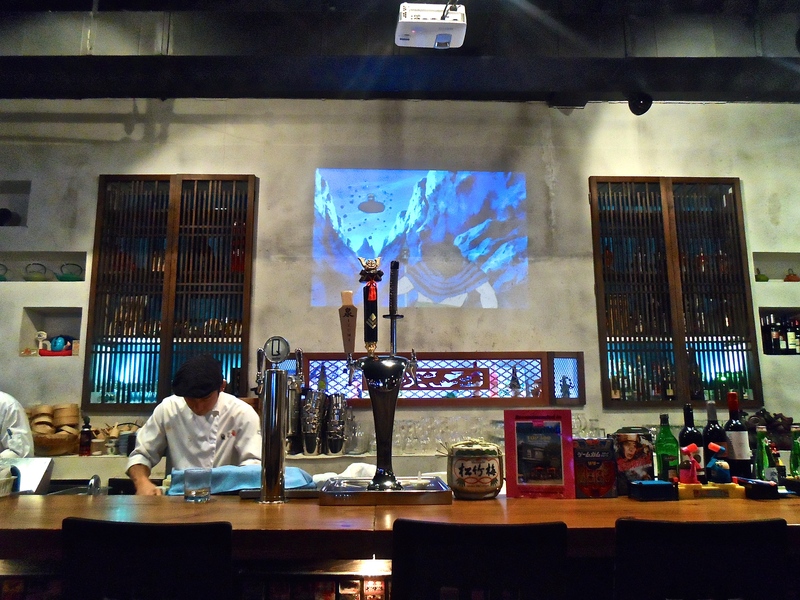 This is the first of a series of eating east Asian cuisine in Toronto by flashbracket. Where do I start with Kingyo? In a market full of excellent east Asian cuisine — Toronto that is, and definitely not Montréal — I often feel a bit overwhelmed trying to keep up with all the great restaurants serving Chinese dim sum, Korean barbecue, and Japanese ramen. I travel back to my hometown of Toronto whenever I can, and each time I’m back in town my family and friends are holding a list of places that we need to try, or restaurants they really want to go back to and know that I would be down for some good eats. Kingyo, a Vancouver inception, opened their Toronto outpost at the end of 2012 but I only made my way over to its Cabbagetown location earlier this year. So I am about a year late in the game. But I am glad that, since my first visit, I kept coming back to this restaurant serving Japanese bar food just about every time I was back in Hogtown. 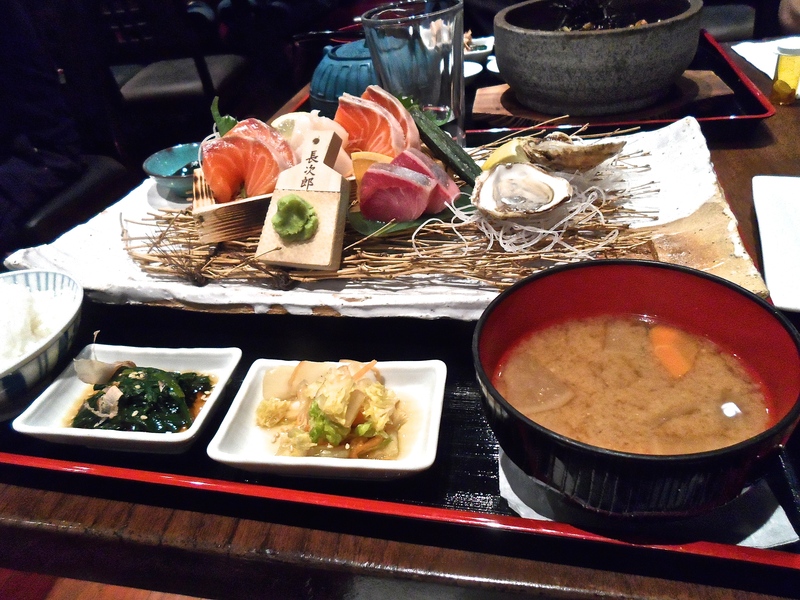 And every time I’m back on the train headed to Montréal I still think about my favourite meals and Kingyo is always one of them. As a child I used to daydream about what it would be like to visit a dog show. Years of looking at The New York Times’ coverage of the Westminster Dog Show trained me for the day that I would finally see a dog show in the flesh. I would say it was akin to the armchair traveller finally leaping into a real life voyage — and perhaps also like young fashion students attending their first fashion show in Paris. 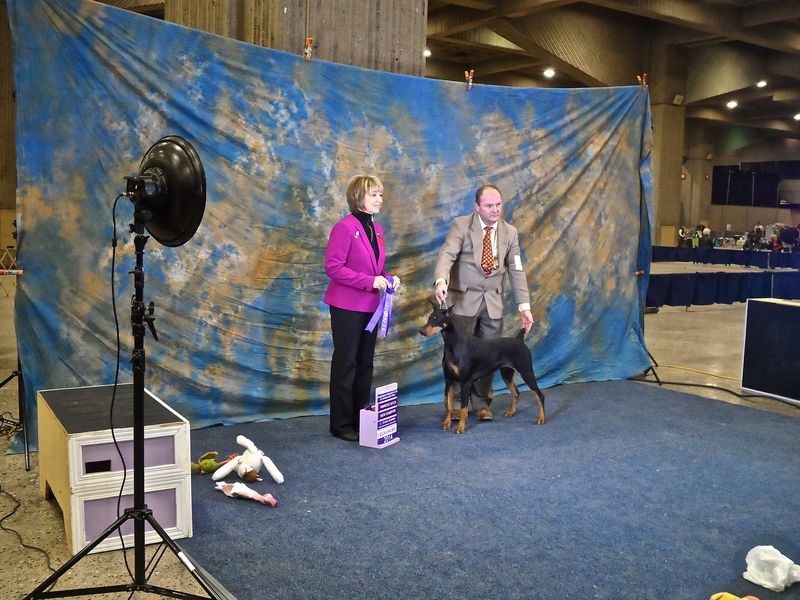 Well, this was not Paris, nor was it in New York City where the Westminster Dog Show holds their annual event. 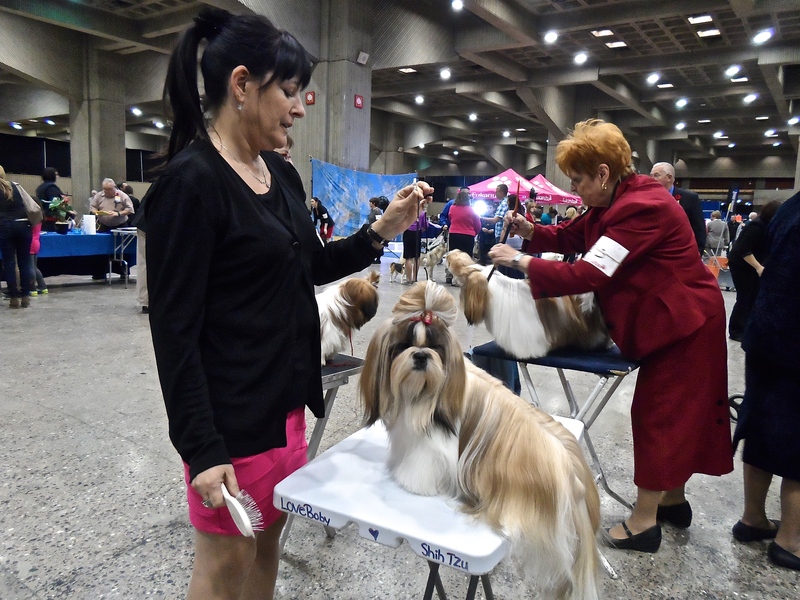 But I was excited to drop in for day two of the three day Annual Montréal Dog Show held by the United Kennel Club. This year’s event was conveniently at Place Bonaventure in downtown Montréal from Friday November 7th to Sunday the 9th. There are many ways to pad my womanly hips here in Montréal. I don’t have a huge sweet tooth but I love baked goods — real quality baked goods, that is. I previously wrote a love letter about baguettes and how good they are in this city. Unlike in my native Toronto, Montréal suffers from a plethora of amazing bakeries; this is a problem as there are too many places to keep up with. 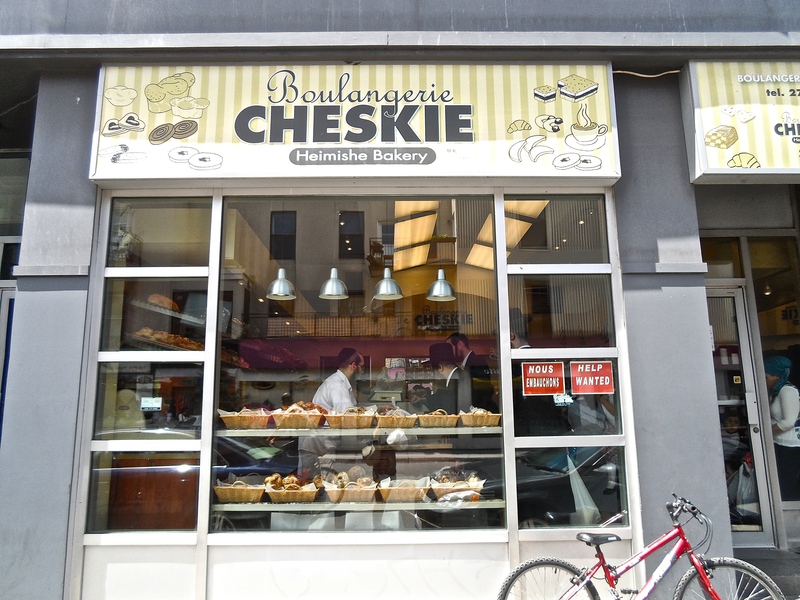 But amongst all the French and Quebécois boulangeries dotting every neighbourhood, Cheskie’s often gets mentioned as one of the best bakeries in town. It doesn’t even bake baguettes! 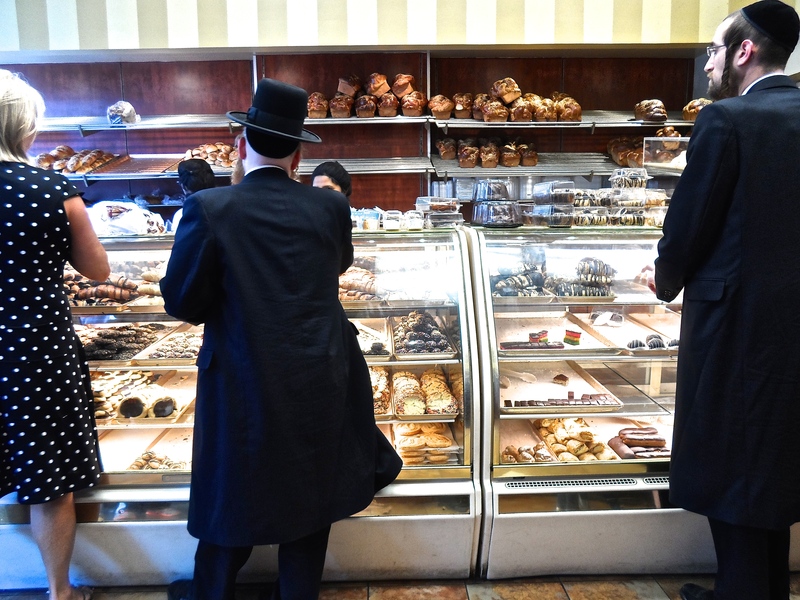 But the danishes, rugelach, babka, challah, cookies, and other pastries filling this shop draws a line out its door on many days, opening up the neighbourhood for the amazing scent of its freshly baked goods. Have you ever been to Manitoba? As a Torontonian living in Montréal, I tend to hang around the central-eastern parts of my huge country. But when the opportunity arises, I like to cover untrodden regions of this 9,984,670 square kilometre nation and it’s not too often that I get to out west. When we Canadians talk about Western Canada (or way over there from where I’m from), we mean the province of Manitoba and its neighbours to its left — Saskatchewan, Alberta, and British Columbia. Manitoba was one of the few provinces that I had not discovered until recently when I visited the southern parts of this prairie terrain. 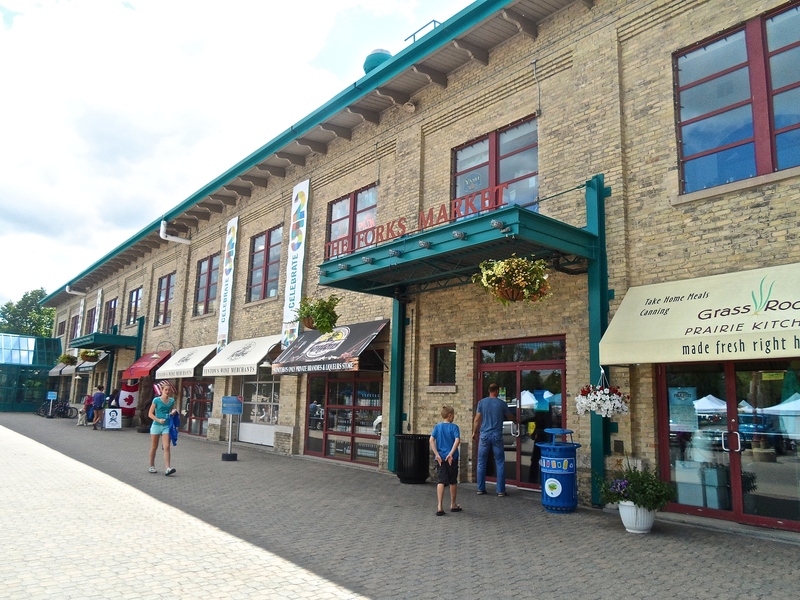 And where’s a better place to discover Winnipeg culture than The Forks, a lovely meeting place of community and commerce for the past 6,000 years? I love finding good coffee, and I also love supporting independent cafés. Good thing Montréal has both, and some of my favourite cafés can be found downtown, in the Plateau, and the Mile End. 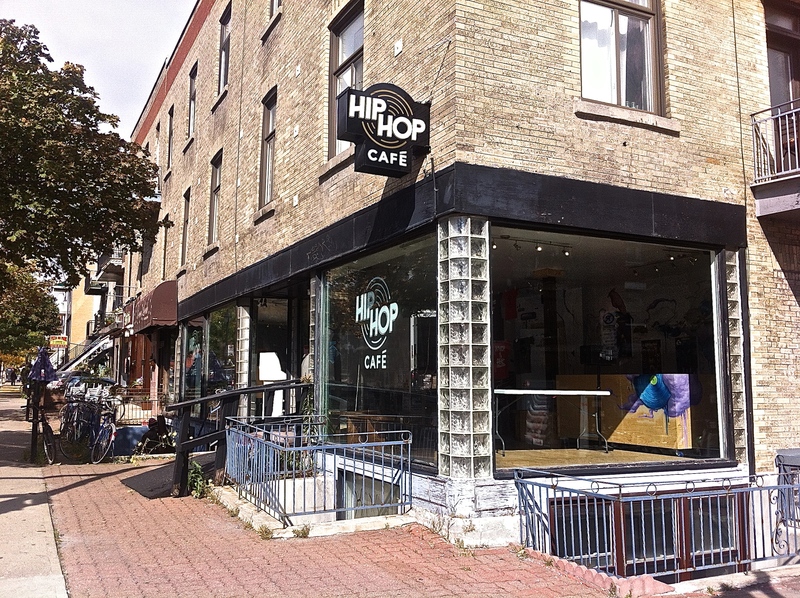 Le Hip-Hop Café is a relatively new addition to the Mile End neighbourhood and I had been meaning to drop by and check out the place since it opened in February. 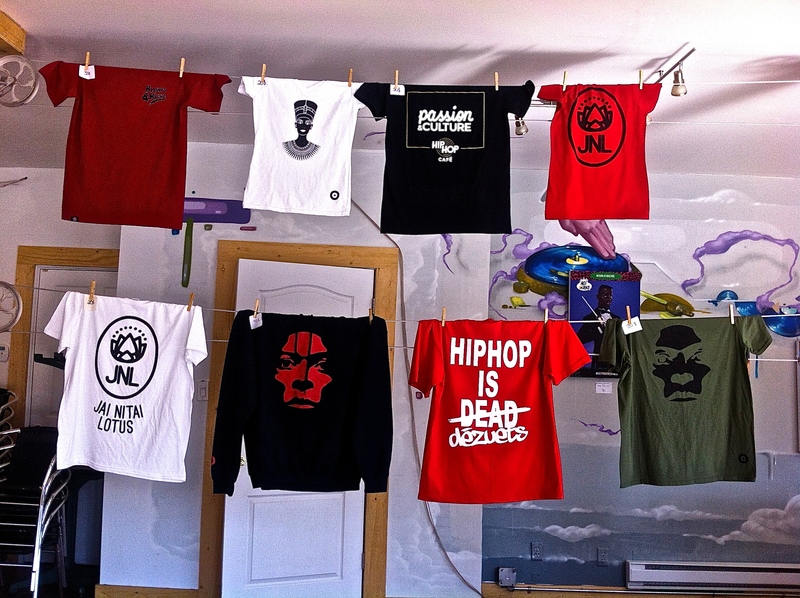 Mind you, the establishment situated at the corner of avenue Parc and rue Villeneuve is not just a café but more of a business with a concept — one that happens to offer good coffee and eats but operates for the purpose of promoting hip hop culture in Montréal. 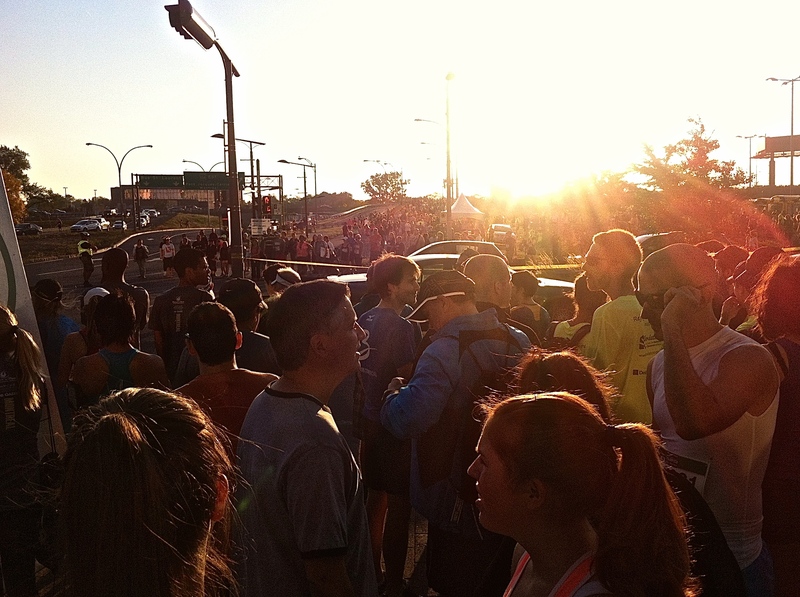 This morning I ran my third half-marathon for the 24th edition of the Rock ‘n’ Roll Oasis Montréal Marathon. My main goal for this race was quite simple: I did not want to get injured. If you have ever run a race, you know the importance of pacing and for my first two half-marathons I made a neophyte mistake: I went too hard, too early and ended up hobbling for the last eight to ten kilometres with an achy knee. Last year, I could not believe I made the mistake of not pacing myself yet again, so this year I vowed to do better. So I made the goals of warming up for the first one-third of third, then slightly increasing my pace for the next third of the race, and finally pushing myself in the last kilometres. And I was so glad I made these simple goals as I ended up shaving off a whole twelve minutes off last year’s horrible time and obtain a personal record this year.